NMAP options and output. Nice cheat sheet here. also: How to create a reverse shell. How to transfer a file. I printed out the exam objectives and underlined anything that I wasn’t sure of. This will be my first CompTIA test, but from what I’ve heard, they stick to the content of the objectives. The practice questions on the free version of Skillset.com for the CEH also covered much of the same content. That should give me a good enough foundation that I can mainly focus on refreshing my knowledge in the “must know” section above. 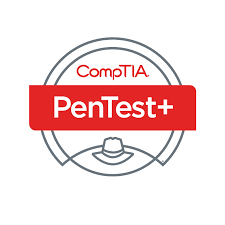 The higher challenge of the CompTIA PenTest+ is likely due to the greater depth in the specifics of the tools being tested. Those answers would come easier from real, hands-on pen testing work. I passed! My study process above worked just fine. It was indeed fairly similar to the CEH test, but maybe 20% harder, and with better quality control in the content. CEH had a couple straight up broken questions on my test. There wasn’t anything like that on the PenTest+. This entry was posted in Certifications, Security and tagged ceh, certifications, comptia. Bookmark the permalink. Did you buy The Official CompTIA PenTest+ Study Guide (e-book) for your test? At the time I took the test (when it was still in beta) there weren’t any books available for it yet. I reviewed the topics listed in my blog post here, and briefly googled anything in the official exam objectives from CompTIA that I wasn’t familiar with already. That, combined with my experience from passing CEH, and some practice on a few Vulnhub VMs was enough to pass PenTest+ fairly easily. I didn’t put much time into studying for this cert overall. If you’re coming in with less experience than I had, that book looks OK to me. I would probably buy it.